Viewing 24 of 91 items. 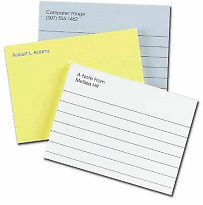 Set of 400 4"x3" Post-it® Notes. Flat printed in stock and ink color of your choice. 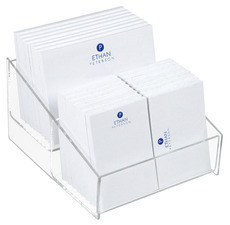 Includes 8 pads, 50 sheets per pad. 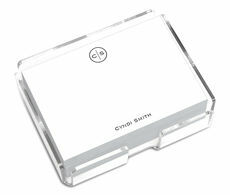 Optional acrylic holder available. Post-It® is a trademark of 3M. 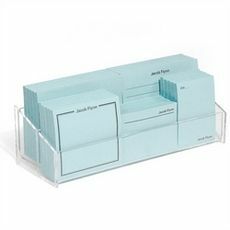 Typestyle and..
Set of 1250 Post-it® sheets. Total 25 pads with 50 sheets per pad. Flat printed in stock and ink color of your choice. Includes 5 4"x 3" pads with adhesive on 4" side; 10 2"x 3" pads with adhesive.. 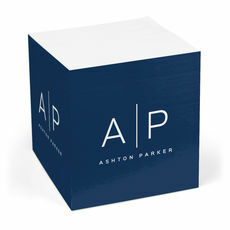 Create a contemporary and unique style with this sticky memo cube. Design features two modern large initials with a name. Each cube is 3.375" square and with 675 sheets. 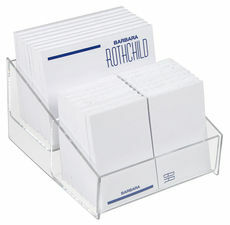 Same design and..
Set of 1500 Post-it® sheets on 30 pads with flat printed on your choice of stock and ink color. Includes ten 4"x3" pads, ten 2"x3" pads and ten 3"x2" pads. Each pad includes 50 sheets per pad. ..
Set of 1250 Post-it® sheets. Total 25 pads with 50 sheets per pad. Some pads in full black ink and some in screened black ink which creates a lighter imprint color. You select stock color. 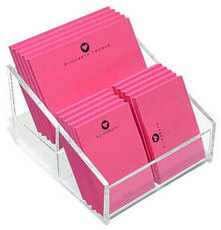 Set..
Set of 1250 Post-it® sheets on 25 pads with flat printed black ink as shown. Some pads in are lined and some are unlined as shown. You select stock color. 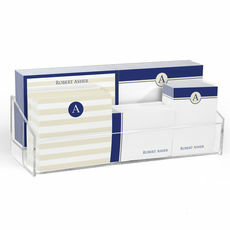 Includes 10 4"x3" pads with..
Set of 1250 Post-it® sheets on 25 pads with flat printed in ink color of your choice. Some pads in are lined and some are unlined as shown. You select stock color. 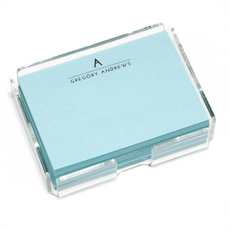 Includes 10 4"x3" pads..
Set of 1500 Post-it® sheets on 30 pads with flat printed on with your choice of stock and ink color. Includes ten 4"x3" pads, ten 2"x3" pads and ten 3"x2" pads. Each pad includes 50 sheets per pad. ..
Set of 1250 Post-it® sheets. Total 25 pads with 50 sheets per pad. 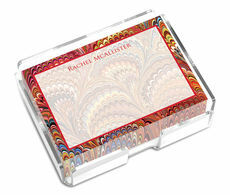 Flat printed stock color and ink color of your choice. Includes 5 4"x3" pads with adhesive on 4" side; 10 2"x3" pads with adhesive.. Simply Basic post-its offer two lines of text in a simple block typestyle. Your choice paper size, paper color and positioning. 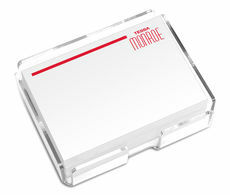 Optional acrylic holders are available for some sizes. 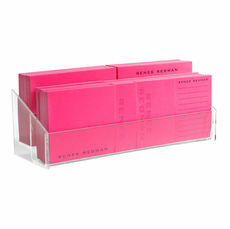 Post-it is a..
Post-it® notes are always useful and great to have in a home or work office. 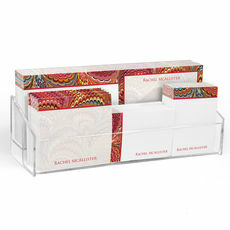 Our cubes and sets make great gifts for anyone in your office on Administrative Professionals Day, make a great birthday present or Father's Day gift or a thoughtful holiday gift. 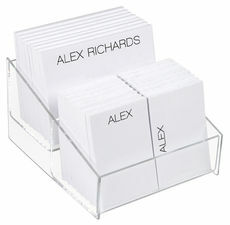 Most sets are customizable, allowing you to include names, initials or other information to make each memo special. 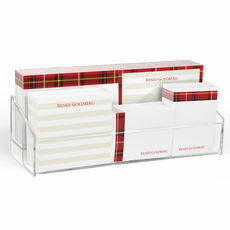 The variety of styles we offer ranges from traditional and conservative to fun and fabulous, so your gift can reflect the unique taste of the individual who receives it or complement the decor of their work space. 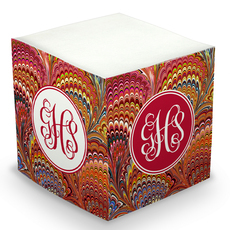 Customizing a gift with a name or initials is sure to make the recipient feel important. There are solid designs, great patterns and more that will add to the style of the selection. 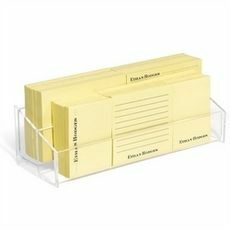 Anyone who spends time at work knows the value of a Post-it® note on their desk. 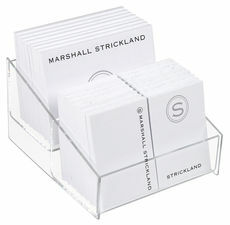 From the company President to a personal admin or working mom at home, these make great gifts that aid in keeping things organized from phone numbers to messages to To Do lists and more. 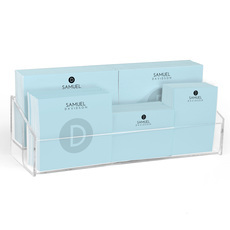 Your recipients are sure to appreciate a set that keeps everything in its proper place. 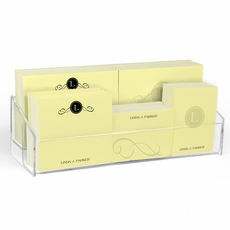 A customized set of Post-it® notes is the perfect way to show your recipient just how they are appreciated and valued.